Scarves, scarves, scarves – if there’s one accessory that I’ve written about the most throughout my Frugal Fashionista series, it’s my love of scarves (and a great statement necklace, of course.) Considering that in the last post, 8 ways to look younger now, as well as the one right before that, Save Thousands by learning to negotiate, both mention scarves, it’s only right that I share some fun with you all. 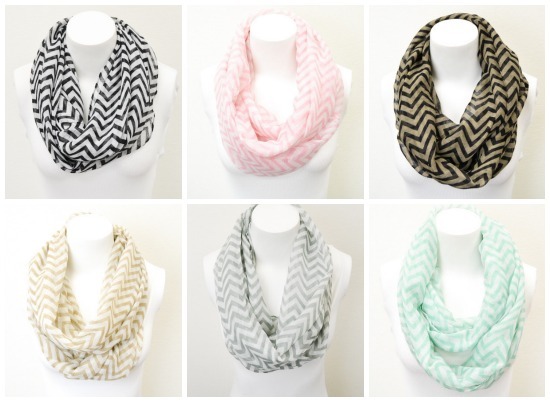 So here’s the steal – Chevron Infinity Scarf which is Regularly Priced at $26.00 is now only $7.95 PLUS FREE SHIPPING. I have had a bunch of messages that they are sold out. She has restocked and you are good to go. If that happens again, let me know and they will make sure to enter more in. I wanted to get some scarves as gifts- what a great price!! But I don’t see where to put in the code for the discounted price! Can you help? Never mind- I found it during checkout! I think they may be out again. I just went online to buy several for presents and there weren’t any showing up on the website. 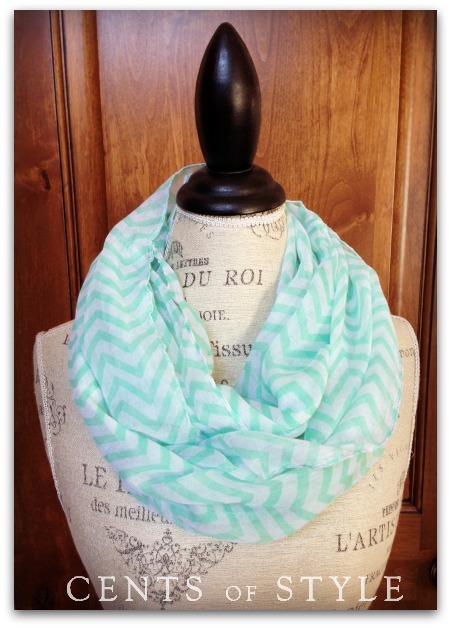 Bummer – I have an email into them because they said they had lots of scarves left that would be available all week. Sorry about that. “Sorry, the page you are looking for does not exist.” Appears on the page. 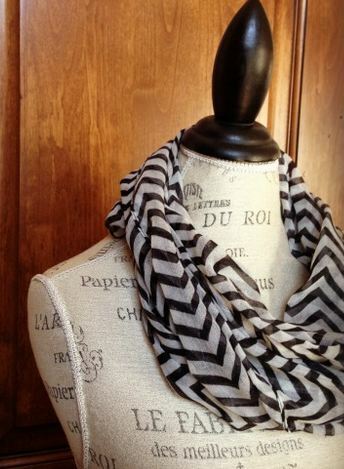 Bummer – I have an email into them because they said they had lots of scarves left. Sorry about that.